The spell adored by thieves. 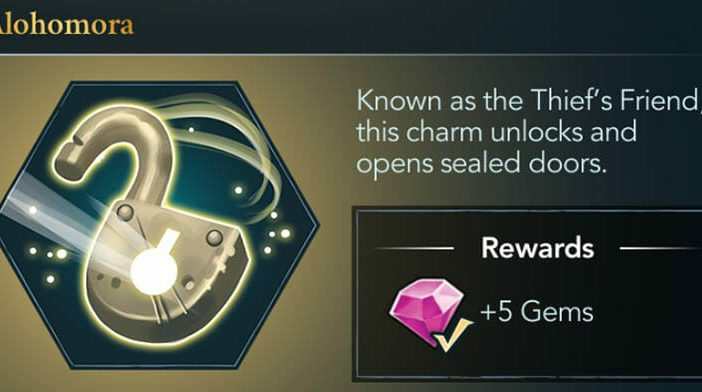 Unlocking Charm, also known as Alohomora, is a spell you will learn in year one chapter seven from Professor Flitwick in Harry Potter: Hogwarts Mystery mobile game. This spell will be of great help in your future missions, and I mean the secret ones. As the name suggests, Unlocking Charm, upon casting this spell you will unlock a locked door. You can basically say that it has a similar effect to the Open Sesame phrase. It is unknown what was the real purpose of this spell and who made it but it sure made theft easier. This spell was not introduced to London in a good way. Thief by the name of Eldon Elsrickle was the first wizard to use this spell in London to terrorize and rob houses of innocent Muggles and wizards. No one was safe at that time until later on, when a counterspell for Alohomora was created. 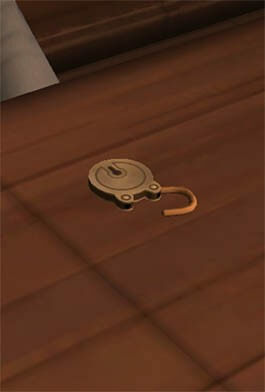 There was a wizard who used Unlocking Charm for a far worse cause than just stealing. 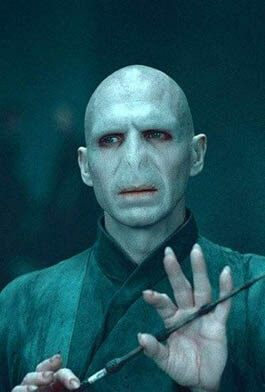 The infamous bad guy in Harry Potter movie franchise, Lord Voldemort. He used Alohomora to unlock and invade the house of Harry Potter's parents while Harry was just a little baby. He killed them and tried to kill Harry Potter, but failed, and in that scene, he gained the scar on his forehead. The mark that will make him famous for the rest of his life. In order to cast Alohomora and unlock your first lock without using a key, you will need to spend a lot of energy on reading books that will tell you how to properly pronounce your charm and what locks you can or can't unlock. There are a few spells made for countering Unlocking Charm but in the end, it's all about how much power and skill the caster has. When you complete all of the tasks and earn all of the stars, you will be given the movement path of the spell. It may look a little hard but its nothing that you can't handle. You will be given a small lock in front of you to practice your first Alohomora. If you've done everything correctly you will successfully cast your first Unlocking Charm and you will now have the power to unlock any lock without having the proper key. You will also be awarded +5 Gems upon learning this spell that you can spend on many in-game accessories such as clothes, jewelry, and many more features.